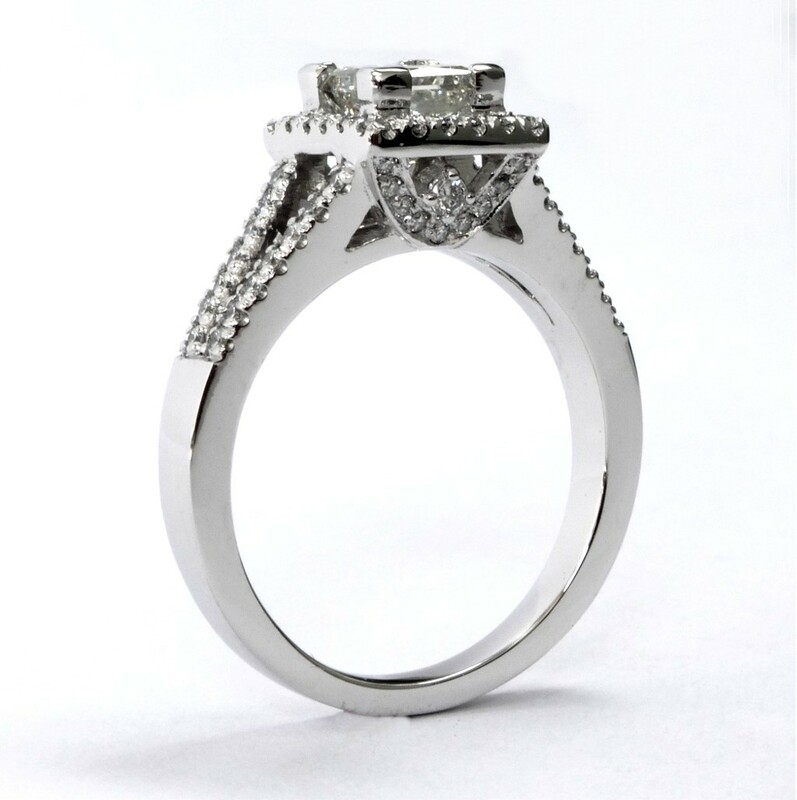 Below are pictures of custom mounting made of 14k gold which has 66 round brilliant cut G, H color and SI1 micro pave/U set, total 0.43ct, with diamond chevron under the halo. 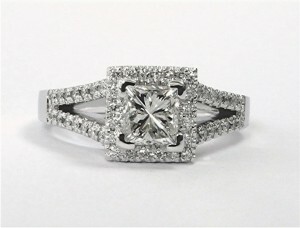 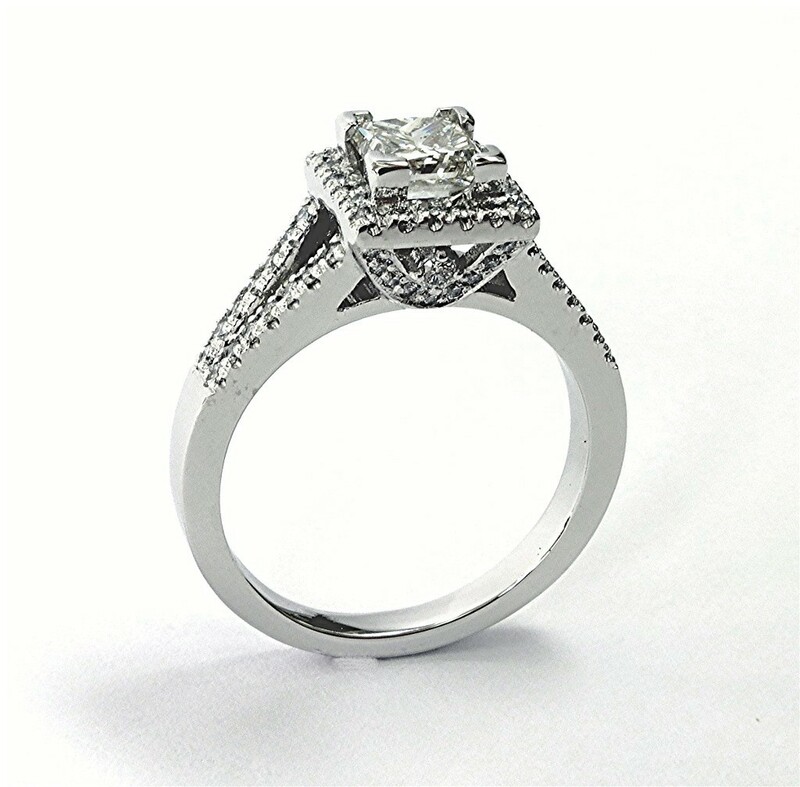 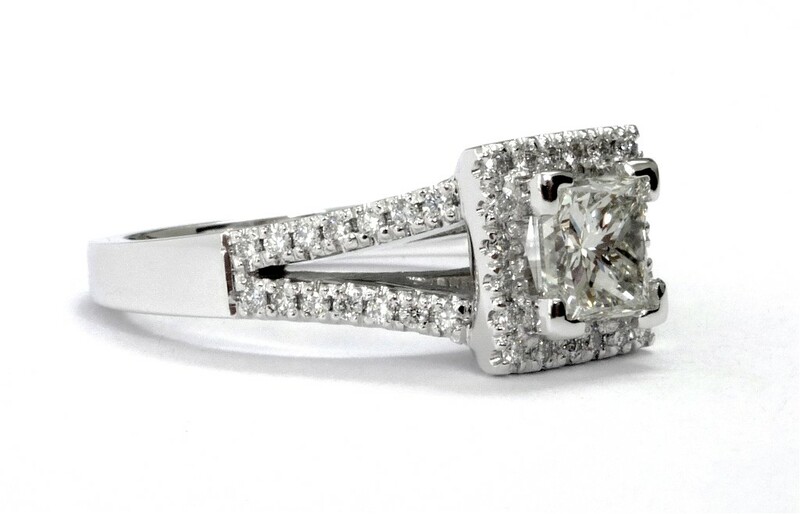 Center is EGL 1.02 ct. princess cut H color SI1 clarity. 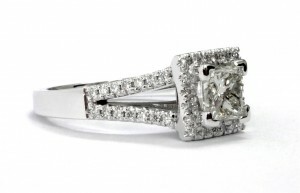 Total diamond weight is 1.54 carat.